Follow the intelligent and extremely courteous gumshoe, Philo Vance. The radio series pays homage to the original detective novels of Van Dine first published in the mid 1920's. "Philo Vance" writes Ogden Nash, "Needs a kick in the pance." The Philo Vance character was created by S.S. Van Dine (pen name of Willard Huntington Wright) in a series of detective novels beginning in 1927. The Philo Vance of the novels was a dilettante; Van Dine wrote that he was "An aristocrat by birth and instinct, he held himself severely aloof from the common world of men. In his manner there was an indefinable contempt for inferiority of all kinds." An "aristo" in the same vein as the later James Bond, but much more irritating. Vance was an expert in art, criminology, ancient Egypt, fencing, a talented polo player, patron of classical music, breeder of champion show dogs, knowledgeable chess player, winning handicapper of race-horses, and master poker player. Philo Vance seems to have been just as irritating through almost 20 years of films starting in 1929. Even when solving The Gracie Allen Murder Case (1939). Gracie herself would quip "S.S. Van Dine is silly to spend six months writing a novel when you can buy one for two dollars and ninety-eight cents." Of course it is hard to keep an aristocratic bearing when Gracie keeps calling you "Fido Vance". Radio made Vance more human. He is still very much a genius crime solver, but more approachable and accepting of the rest of humanity.He is first played on NBC by John Emery in 1945 and then by Jose Ferrer in 1945. 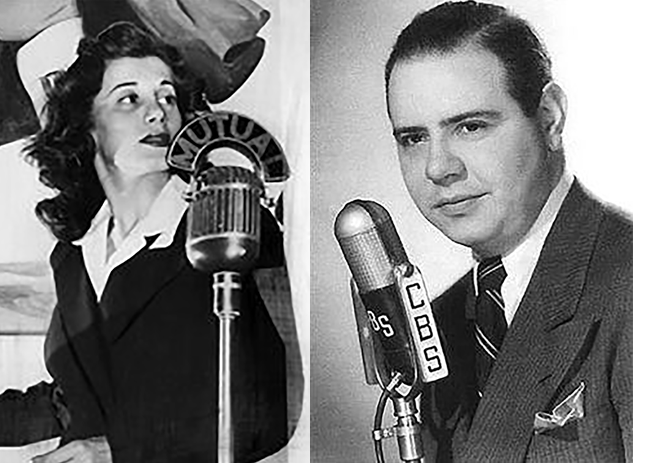 In 1946 ZIV Syndication took over the production with Jackson Beck in the title role and Joan Alexander as his "girl Friday", secretary Ellen Deering. 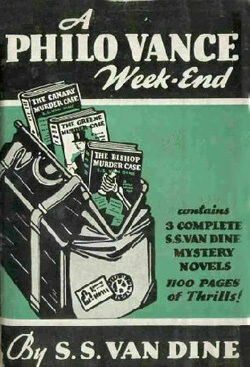 Philo Vance was a pretty "Soft-Boiled" Detective. 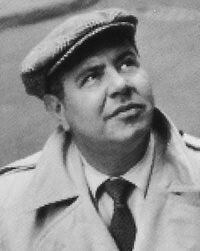 He used his mind every bit as much as Sherlock Holmes, wasn't burdened with Nero Wolfe's agoraphobia, and, at least on the radio, wasn't nearly as foppish as The Saint. He foils the bad guy by catching the one detail in their story that only he (and sometimes the audience) sees. Lovers of the noirish hard-boiled school should seek out a host of other shows: Philip Marlowe, Pat Novack, Richard Diamond, Let George Do It, and Yours Truly, Johnny Dollar for starters.